8th FFE Seminar Series Recap: How can fashion positively impact people and planet? We’re keen to get the industry to look beyond lowering their environmental impact and aim to contribute positively to nature and communities. 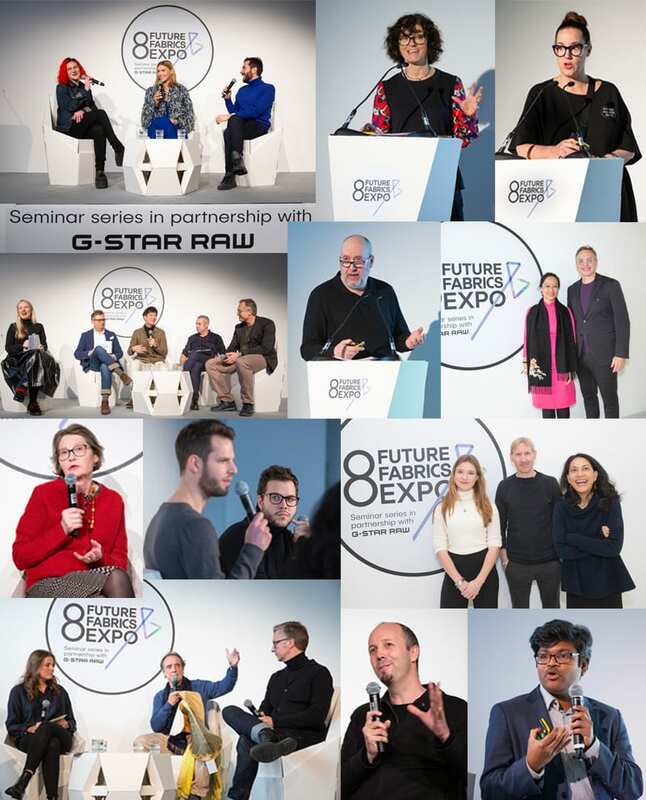 Our popular seminar series programme returned this year to our 8th Future Fabrics Expo, gathering some of the most influential organisations in sustainable textiles and fashion to discuss the ways in which our industry can help address the issues our planet faces today. Speakers ranged from business leaders, academics, entrepreneurs, fashion brands big and small, to fashion activists and non-profit organisations from our community network. This year’s series — which ran alongside the event throughout both days — was our first partnership with G-Star RAW. The programme drew in a captive audience with sold-out seat registrations for all 12 discussions. 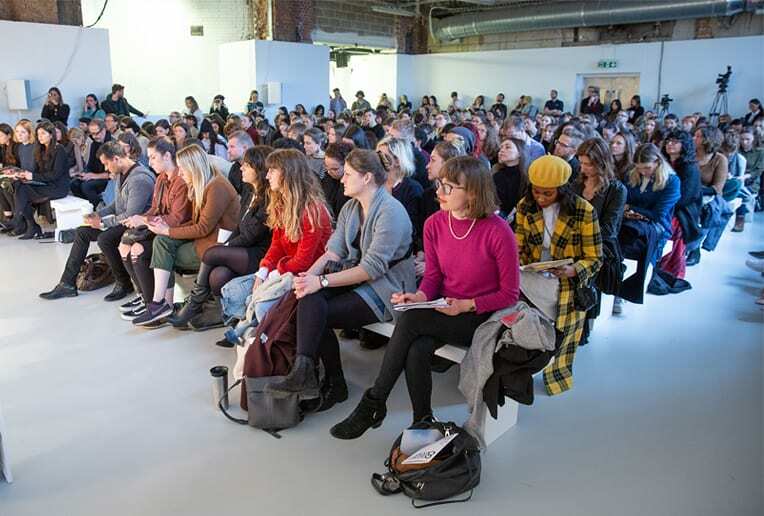 The seminar engagement is a testament to the collective force of our industry: the room was filled with changemakers who know that only with leadership and action can we shift outmoded behaviours within the fashion system. 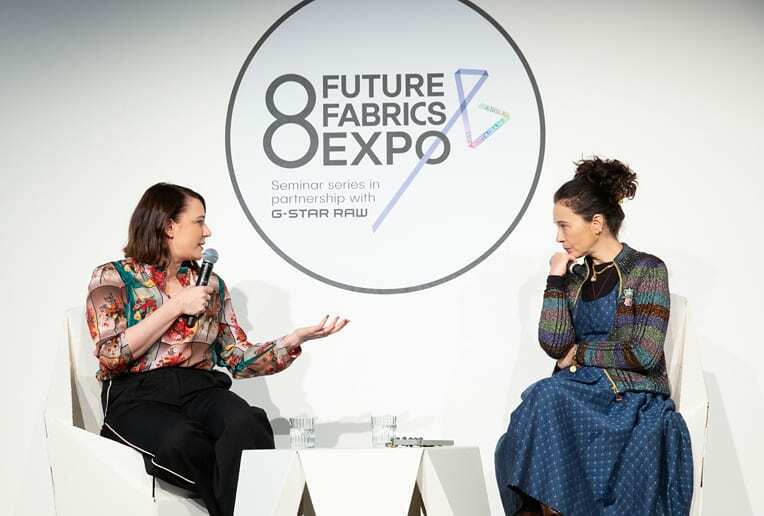 Clare Press, Australian VOGUE’s Sustainability Editor-at-Large and presenter of The Wardrobe Crisis Podcast, moderated a panel discussion on how suppliers and mills were solving issues around waste and recycling. The roundtable featured representatives from the expo’s core exhibitors, including Besim Özek from Bossa Denim (a company based in Turkey that is applying post-consumer recycled denim concepts to help fight landfill waste); Tada Satoshi from Toyoshima (a Japanese company that is creating dyestuff using by-products from food manufacturing); Fabrizio Tesi from Comistra (an Italian company that recycles and regenerates textile waste with a focus on wool), and Tommaso Rulli for Profits Fund Global. One of the most interesting points which our international panelists agreed on is that increased government involvement could help drive the future of the textile recycling industry. For example, tax incentives, duty-free imports, or legislation around the incineration of overstock fabric can help empower the circular economy. From left to right: Clare Press, Besim Özek – Director of Bossa Denim, Tada Satoshi of Toyoshima, Fabrizio Tesi of Comistra, Tommaso Rulli for Profits Fund Global. Reward systems and an increased role by the government were also suggestions by panelists Edwina Ehrman, Senior Curator at the V&A and Curator of Victoria & Albert Museum’s Fashioned From Nature, and Ben Gleisner, Co-founder of Connecting Good (CoGo) and Conscious Consumer Guide. The discussion, moderated by ethical fashion journalist Bel Jacobs, examined whether a labelling system united by consumers, government and industry can help shoppers buy clothes that don’t cost the planet. 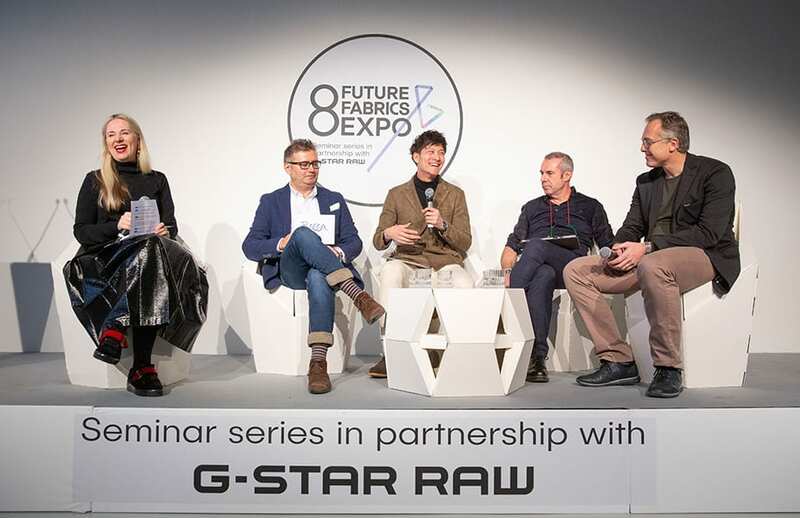 Ambassador for The Sustainable Angle Arizona Muse moderated an exciting panel discussion with designer Tiziano Guardini and Adriana Galijasevic, Denim and Sustainability Expert at G-Star RAW. The discussion looked at the challenges and opportunities that both large companies and independent fashion labels face when integrating sustainability into their brand and supply chain. “Sustainability is not a challenge for us, but a springboard for innovation,” says Galijasevic. G-Star RAW has recently pioneered their own denim fabric that is Cradle-to-Cradle Certified™ Gold, one of the most rigorous certifications. Adriana Galijasevic, Denim and Sustainability Expert, G-Star RAW (left); Arizona Muse, model and sustainability campaigner (centre); Tiziano Guardini, Designer (right). 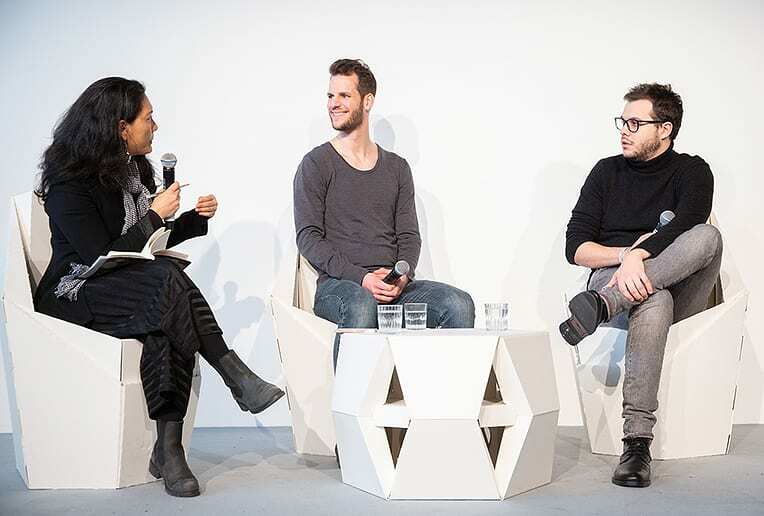 Bel Jacobs (left); Lukas Fuchs, Research Analyst – Make Fashion Circular, Ellen MacArthur Foundation (center); Sergi Masip, Sustainable Development, Hallotex (right). After each panel discussion, we asked our speakers how they thought fashion could positively impact people and the planet. “We need a big cultural change in the fashion industry…We are looking for a fashion industry that is more inclusive and a force for good and for that we need to change its nature, ” says Orsola de Castro, Founder and Creative Director of Fashion Revolution. De Castro wants us to question what can we do with our own behaviours to usher in the technology movement as sustainable material alternatives are being developed. Claire Bergkamp, Global Director of Sustainability and Innovation, Stella McCartney (left) in conversation with Orsola de Castro, Co-founder of Fashion Revolution (right). Left image: Bel Jacobs (left); Matthew Drinkwater, Head of Fashion Innovation Agency, London College of Fashion (centre); Emma Scarf, Ventures Analyst, Fashion for Good- Plug and Play Accelerator (right). Right image: an engaged audience at our 8th Future Fabrics Expo Seminar Series. This means that the designer’s creative process involves a better understanding of how the fabrics they choose can help lower environmental impact. “For most fashion brands, more than half of their environmental impact stems from the materials they use and our goal is to empower brands with the solutions to change this,” says Nina Marenzi, Director of The Sustainable Angle. While sustainable change may seem like a daunting and overwhelming task that tampers the creative process, asking the right questions, thinking outside-the-box and taking small actionable steps can help pave the way. 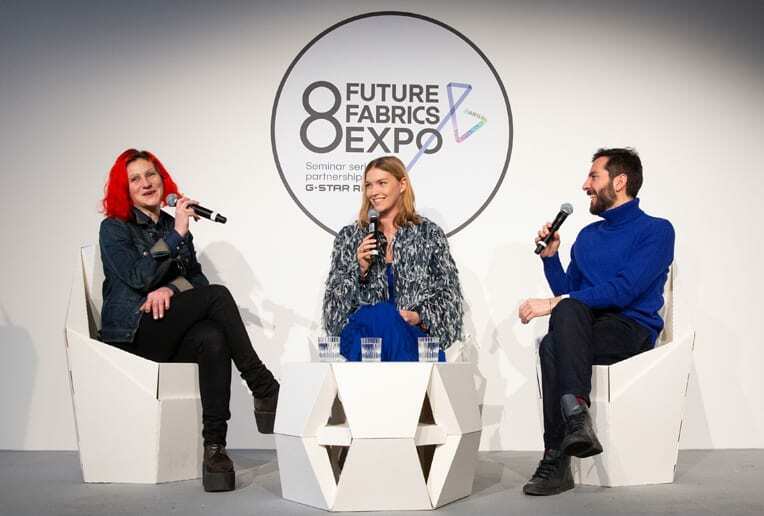 “With the Future Fabrics Expo, we wanted to make sustainability within the creative process as accessible as possible so that the designers themselves feel able to drive the revolution,” Marenzi adds. In case you missed out on any of the discussions or would like to re-watch them, visit our exclusive access link to stream the seminar videos.